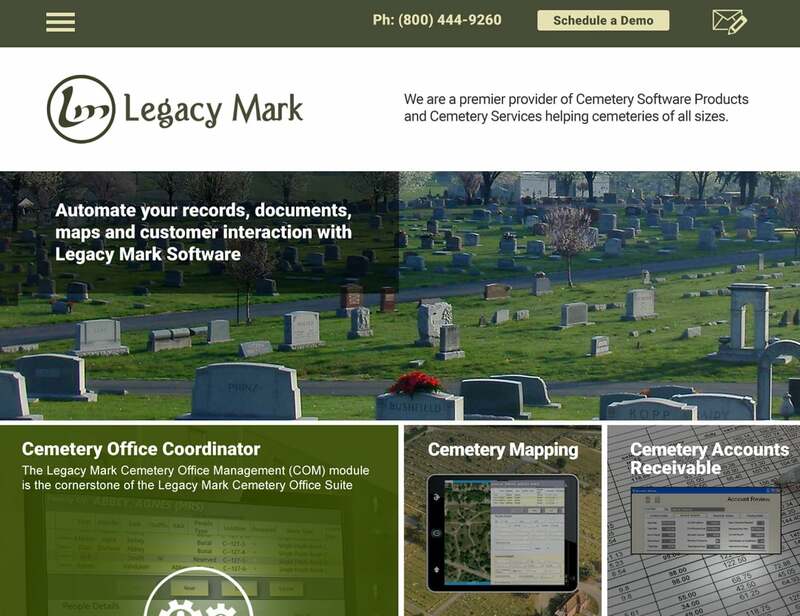 Legacy Mark asked VISIONEFX to redesign their SaaS Services website. This recent design provides a competitive branded website presence in the highly competitive business cemetery software space. VISIONEFX developed a uniquely professional graphic look using custom Photo Shop designs. VISIONEFX also uses optimal SEO interior web page coding using descriptive text content, photography and consistent call-to-action contact boxes. When searching SaaS services website design look no further than the web designers at VISIONEFX. If you have ever asked yourself, ‘What is the best software for our new website?‘ Let the professionals at VISIONEFX answer all your questions! VISIONEFX, provides SaaS services website design services to businesses throughout Hampton Roads Virginia and the United States. Services include custom web design, E-commerce services, Word Press, SEO – Search engine optimization and web maintenance-repair services. Call: (757) 619-6456 or email info@visionefx.net. VISIONEFX has top Google Reviews posted on Google My Business pages.